At Hardy Pediatric Dentistry and Orthodontics, we are dedicated to making your patient experience be the best it can be. To accomplish this, our combined pediatric dentistry and orthodontics practice is equipped to give you premier, specialized care through state-of-the-art technology, training and expertise. Our top-notch diagnostic tools, coupled with our breadth of knowledge and experience, allows us the ability to provide you precise, accurate, effective treatment customized to meet your unique needs and goals. To help ensure you attain the cosmetic and functional results you expect, Dr. T.C. Hardy, Dr. Nam and our friendly staff focus on clear and open communication so that you have a full understanding of your treatment from start to finish. We encourage parental involvement for our younger patients and welcome any questions you may have about your child or teen’s care. We are dedicated to making your child feel at home in our office and we want you to feel the same security with them in our care. Your active involvement in your child’s oral health care can help the treatment progress go smoothly and successfully. 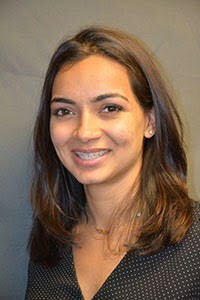 Dr. Namrata Hardy is a Board-Certified Pediatric Dentist who specializes in providing oral health care to infants, children, adolescents and individuals with special needs. Dr. Nam truly believes prevention is the best method of defense against the myriad of dental problems one can face. By educating families about healthy smiles, healthy habits, and proper oral hygiene, she creates a lifelong dedication to excellent oral health and wellness. She wants children to find enjoyment through their interactions with the dentist so they can appreciate going to the dentist for years to come. She achieves this through her specialty training, education, skills and personality, but also through advances in dental technology. Dr. Nam offers laser dentistry for patients which, in most cases, eliminates the need for shots and needles, and reduces discomfort during and after treatment. No drilling is necessary, which greatly reduces the anxiety some children feel in the dental chair. In treating patients, her philosophy emphasizes respecting children while caring for them with age-appropriate techniques and loving attention. Understanding the singularity of each child, while determining each family’s individual needs, is how Dr. Nam delivers gentle dentistry and fosters positive dental experiences. Dr. Nam loves kids! She will work on a relationship built on trust between you and your child, in order for your child to feel safe and cared for. If your child needs dental treatment, we request that you stay positive before and during the appointment. Children can sense the energy and anxiety that you give off and it can transfer to them, which can make for a more difficult experience. We avoid using words such as “shot”, “drill”, “needle” and “pulling teeth”. Instead, we use words such as “sleepy juice”, “whistly toothbrush”, “Mr. Thirsty”, “Tooth Counter”, and ”Wiggle your tooth”. Dr. Nam and her staff also use a technique called “Tell-Show-Do”. We first “Tell” your child exactly what we will be doing, then “Show” it to them on their finger or by modeling, then finally “Do” the procedure. Children do much better when they know what to expect and the fear of the “unknown” is addressed. The common approach to orthodontics is to commence treatment with children when they only have a few adult teeth. However, only certain cases require treatment this early. While some may argue that early treatment can improve the aesthetics of a young child’s smile, most young children will require a second round of braces once they have acquired all of their adult teeth. Dr. T.C. Hardy believes in taking a conservative, one-phase-of-braces approach to orthodontic treatment that will save you and your child unnecessary dental work, time and money. Using this effective approach, most of Dr. T.C. Hardy’s patients can typically complete the entire treatment within two years. 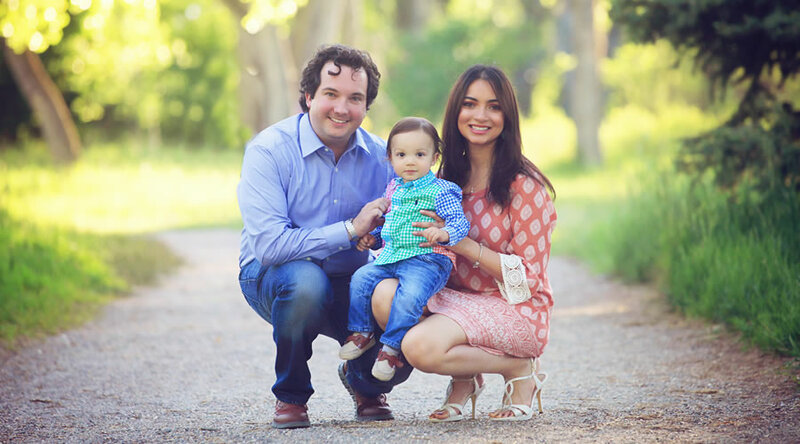 Although he employs a conservative approach, Dr. Hardy believes it is necessary to bring your child to an orthodontist at an early age to ensure there are no severe dental issues. These issues should be addressed through early treatment around age 7. Early treatment can be beneficial and/or necessary for some young patients, but, again, most children will not need braces until around age 11. This conservative approach saves our patients (and their parents) time, hassle, and unnecessary expenses. At Hardy Pediatric Dentistry and Orthodontics, we offer you one practice with two specialties for your added convenience and benefit. When you choose to select a specialist for your oral healthcare, you are choosing a higher level of care. This level was achieved through extra education, training and 100% dedication to the skills needed for successful outcomes and diagnosis of that specialty. Choosing a specialist is one of the most important steps in achieving the beautiful smile you desire. Different orthodontists use different approaches for straightening teeth and optimizing oral health. Dr. T.C. Hardy focuses on the overall aesthetics of the face – not just the teeth. Hardy Pediatric Dentistry and Orthodontics offers a variety of orthodontic treatment options for your needs. Advances in the field of dentistry and technology now offer you more than just the traditional braces route of care. Kids and adults both love the aesthetic brackets option via clear braces that our practice offers. Aesthetic ceramic brackets don’t just allow you the ability to control the way your brackets look, they also perform better while reducing your risk for bacteria build-up around the bracket. Aesthetic brackets are precision-engineered to offer you better strength, easier bonding, and cleaner debonding. At Hardy Pediatric Dentistry and Orthodontics, we provide: clear braces, Invisalign® and Incognito™ hidden lingual braces as options for orthodontic treatment. Not all braces are right for everyone and Dr. T.C. Hardy will work with you to provide the option that is right for you. Hardy Pediatric Dentistry and Orthodontics believes patient education is a critical component for successful and enjoyable patient care. Patient education empowers you to make sound decisions regarding your treatment. We want you to feel that you are truly part of the process. While Dr. T.C. 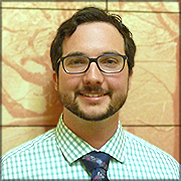 Hardy specializes in working with children and teens, his skill set and practice is set up to be adult-friendly as well. Dr. T.C. Hardy and Dr. Nam are committed and prepared to make your pediatric and/or orthodontic treatment in Erie, CO, as comfortable and convenient as possible. Call us at 720-887-6003 today to make an appointment! We look forward to meeting you and your family and welcoming you into ours.